SGX Day Traders: Is DJ correction coming? Monday DJ near recaptured 16181@50MA closed at 16173 with low vol. 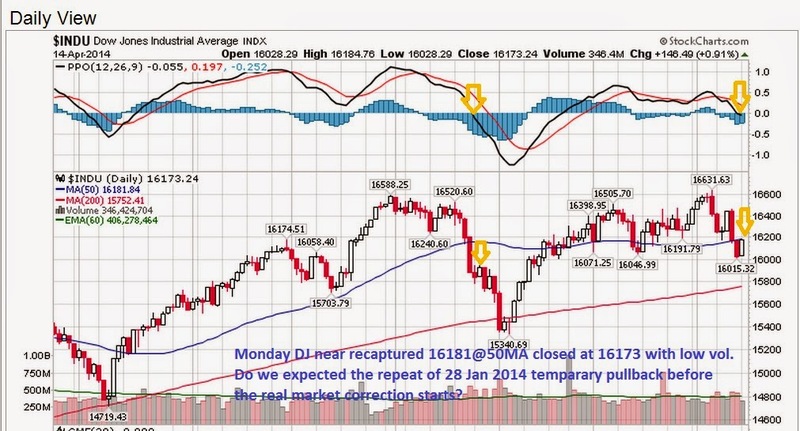 Do we expected the repeat of 28 Jan 2014 temporary pullback before the real market correction starts?